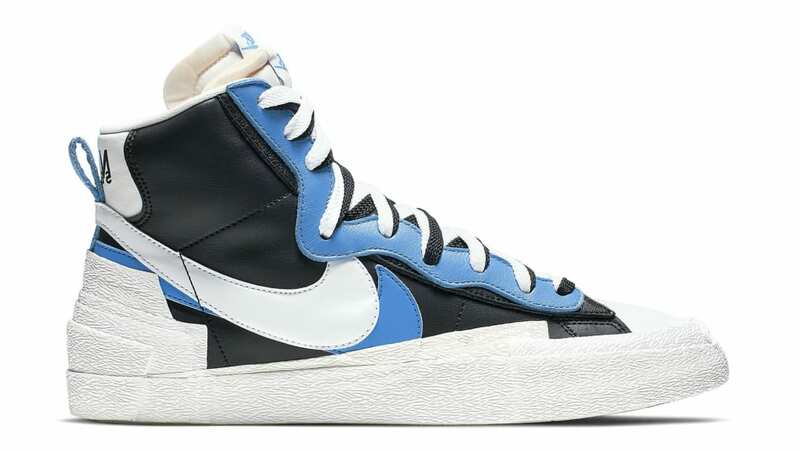 Part of Sacai's Spring '19 lineup, the Nike Blazer Mid will opt for a black-based mid-top upper with hits of white and university blue on the double Swoosh branding, a double tongue, co-branding on the heel tab, which sits atop a white tooling. Release date is Apr. 19, 2019 at a retail price of $140.